L. Suzanne Cronise, born and raised, and a current resident of Botetourt County; Suzanne has been with AXA Advisors, LLC since 2003. 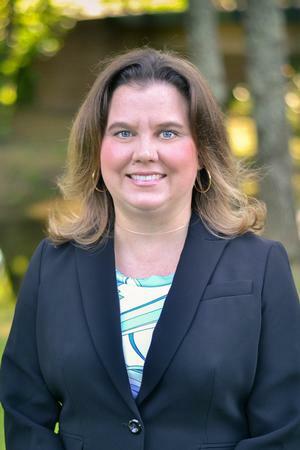 She is a member of the National Association of Insurance and Financial Advisors; Chief Operating Officer and managing partner with Blue Ridge Financial Partners. Suzanne is a 2003 graduate of Roanoke College with a B.A. in Economics and a B.B.A. in Business Administration. While at Roanoke College, she served as the Inaugural President of Theta Beta Chapter of Alpha Sigma Alpha. Also in 2013, Suzanne earned a Certificate in Retirement Planning from the Wharton School of Business at the University of Pennsylvania, and was awarded the related AXA Advisors title of Retirement Planning Specialist. In 2014, Suzanne attended the AXA Institute, an advanced learning curriculum, hosted at Harvard University. This program is a significant part of her continued education in Assest Allocation and Wealth Management. Suzanne's hobbies include Virginia Tech athletics, golf, personal fitness and cooking. Her professional passion is to provide financial and retirement planning strategies, investment management, long-term healthcare solutions and college planning consultation to individuals, families, attorneys, and non-profits.